€ 8,04 excl. 21% b.t.w. 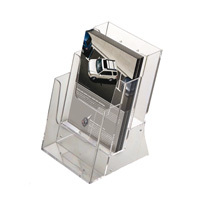 Brochure houder Multiple Pocket (12 stuks) A5 - 3 pocket.